Can You Play Football With a Torn Meniscus? Meniscus is cartilage that cushions your knee as it moves in multiple directions. It protects your knee in sports like football where you move forward, backward, laterally and on a diagonal. But when you tear your meniscus you lose this cushioning. You can play football through a meniscus tear, but doing so will put you at risk for greater injury. It's possible to play through a meniscus tear. For instance, Tennessee Titans running back Chris Johnson didn't reveal until the end of the season that he played through one for 13 weeks. However, orthopedic surgeon Eric S. Millstein. advises against this course of action. According to Millstein's website, playing can cause the tear to increase. You can also cause damage to your knee cartilage, resulting in greater pain and a risk of developing arthritis. Rest is the first course of action for a torn meniscus. Football, with all of its impacts, is just the opposite of that. You should keep your knee elevated above your heart as often as possible, ice it several times a day for 20 minutes at a time and wear a compression bandage to prevent swelling. If your symptoms go away after a few days your doctor may clear you to play football. If they don't, you may need surgery that can sideline you for six to eight weeks. For specific recommendations, talk to your doctor. 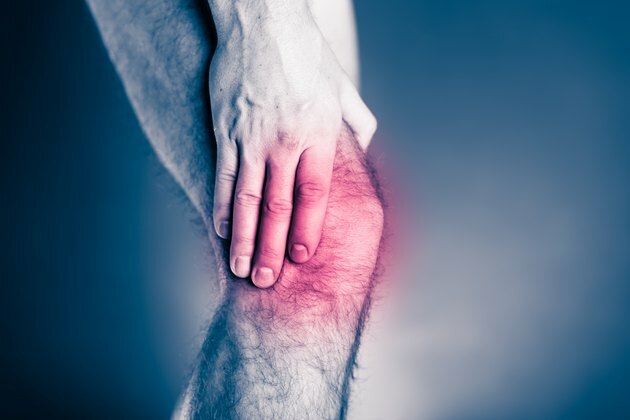 The Orthopaedic Institute: Is Your Knee Pain a Torn Meniscus? How Soon Can You Play Soccer After Breaking a Toe?